Having always been known as strong in the Combustion Market, Winstel Controls strives to expand into new technologies and the most respected brand names, while not losing the focus of what we have built our reputation on. At our core we are a heating controls house with the capability to identify those hard-to-find solutions to your toughest HVAC problems. We are capable of testing a number of controls in-house to diagnose potential problems or pinpoint defective components. As the authorized Honeywell 7800 dealer for Southwest Ohio (including Dayton) and the Preferred Fireye dealer for the same territory, we have a responsibility to be the best. 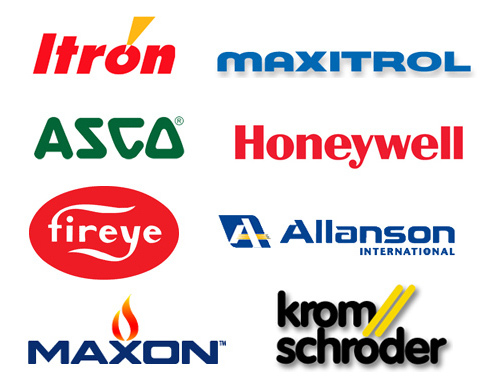 Winstel Controls has also become a regional leader in gas movement, regulation, and measurement with lines such as Maxitrol and Itron. We are experienced in the sizing of regulators and meters to provide the consistency and accuracy needed in many combustion applications that have precise requirements. Call today for all your gas needs from the residential water heaters to rooftop heaters to industrial burner applications. 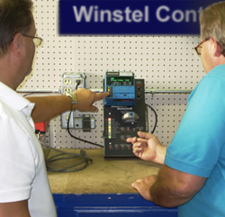 Make Winstel Controls your first call for your Combustion needs!